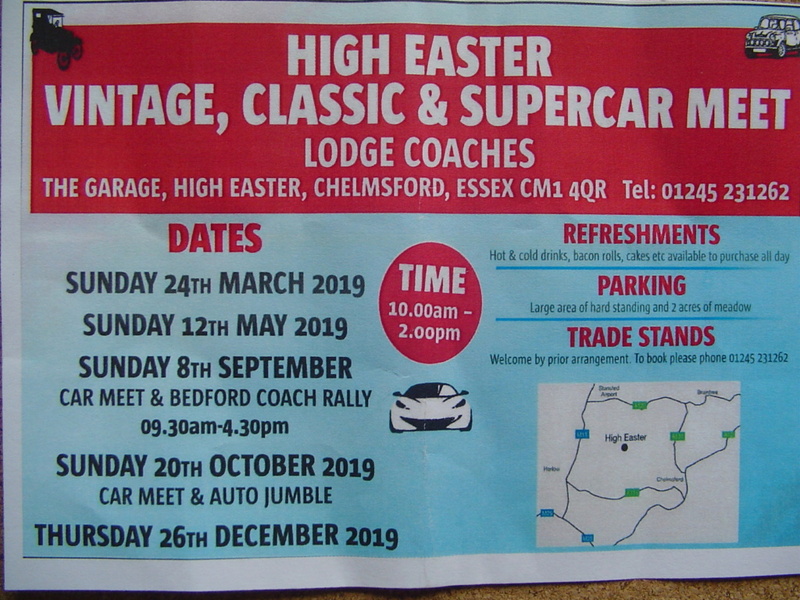 Sunday 24th March Lodges Coaches Classic Car Show Day. High Easter. From 10 a.m. All classic, vintage and veteran vehicles welcome. Bacon rolls and refreshments available. 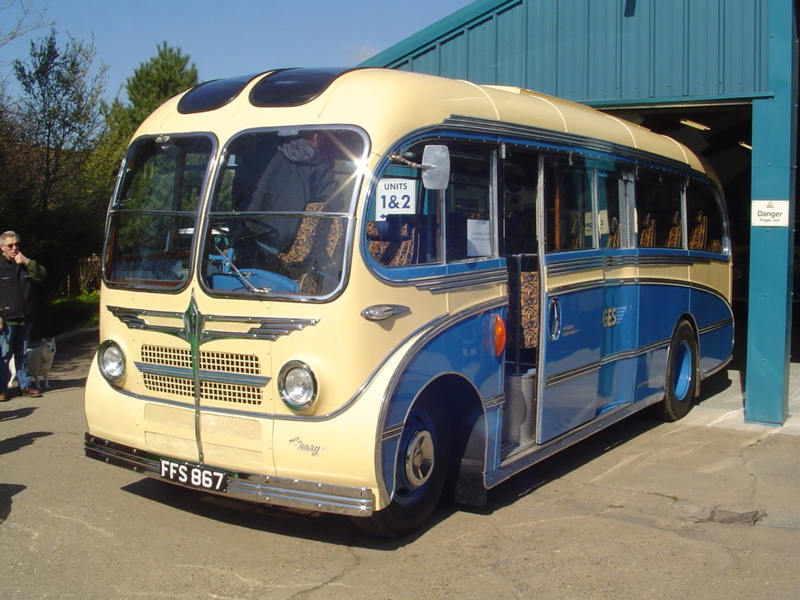 Not a bus rally but Lodges Museum will be open, worth a visit if you are in the area. I dropped in at this event and took a few photographs. I was quite surprised how busy it was but this was because the ‘main feature’ was one of the ‘Vintage, Classic and Super car’ meets organised by the Colne Valley Classic and Vintage Club. There are four more events this year. I too went along to this event (did not see you David) and managed to get this pic of FFS 867 the Burlingham Seagull bodied OB which they have recently completed restoration after they brought it out the shed for a photo call. The classic car meets are actually organised by Lodges not the Colne Valley Car Club who were just supporting the event. Just a bit of nostalgia, Canham of Whittlesey had a similar vehicle - one of my early black & white pictures taken in June 1966 in Scaldgate, Whittlesey near their garage. Re Coasthopper's question. There was a line up of deckers parked in tightly facing the garage which I didn’t record. I took a general photograph but the registrations are all out of sight (low down) so can’t be seen. I would be interested to know if they are the ex Blackpool buses. Why don't you email them?